It’s the bane of any sales professional’s existence: to see their marketing team generating tons of leads…. But most of which are not likely to even buy. So annoying. 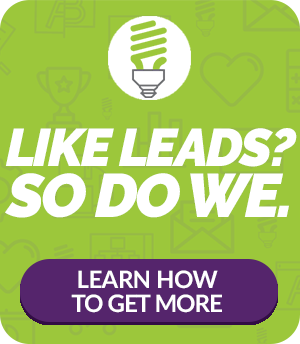 What if, instead of a greater number of leads, your marketers were able to generate not only more leads, but more qualified leads? That would the sweet spot, wouldn’t it!? Take a look below and learn how to generate more qualified leads with inbound marketing. Let’s say your marketing team has been busy providing targeted prospects with the information they need to research a potential product or service that you provide. The content your marketing folks are sending to prospects is full of the information they’re looking for. This is a great start! All that information is making prospects think mighty highly of your product/service for that very fact: you’re helping them find a solution to the problem they’re trying to solve. As time goes on and your marketing team members continue to send them that information, they come to see you as the go-to seller of the product/service that will help them solve that problem. Once they’re ready to buy, from whom are they going to buy? You! But what if your marketing team is only providing the top funnel of information? This is where the need for continued nurturing is most crucial. And to back out now and send the lead straight to Sales means you missed the opportunity to create a true Marketing Qualified Lead (MQL). So what is a great MQL? Given you their email address and/or phone number, “sensitive” information prospects today give up only when they truly feel it’s in their best interest to do so and only when they trust the entity asking for the info. You’ll know how interested they really are in you because the inbound marketing automation software your marketers are using tells them how often your prospects/leads are clicking on specific links, downloading free reports, how often they open emails from your company, and how many times they visit your website. The more a lead does one or more of these things, the higher quality they are. Or, to put it another way: they visit your site because they are extremely interested in your product. They click on your links and open your emails links, etc. because they are extremely interested in your offerings. Extremely. Interested. If that’s not a dictionary definition of highly qualified leads, we don’t know what is. Here’s a great link that explains in more detail how inbound market generates more MQLs. After you read it, if you want some help with generating better leads via inbound, partner with Ingenex Digital Marketing to do so. Drop us a line today to learn more about the lead generation strategies that can absolutely, positively generate highly qualified leads.